The Crowne Plaza San Marcos Golf Resort has set the standard for luxury in the Grand Canyon State since its grand opening in 1912. 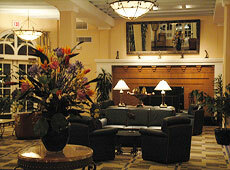 The resort's multi-million dollar renovation has re-stored the hotel to its legendary beauty and comfort. Located in the historic district of downtown Chandler, the Crowne Plaza San Marcos Golf Resort is within easy walking distance to Chandler restaurants, shopping and more, and is within minutes of the new Chandler Fashion Center Mall, one of Arizona's largest shopping meccas. The accommodations at the San Marcos are outstanding with each of the 295 guest rooms and suites featuring the Crowne Sleep AdvantageTM System, offering an incredible combination of beauty and comfort. 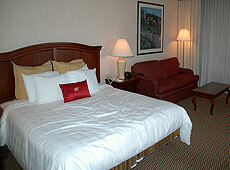 The rooms are exquisitely decorated and comfortably furnished. Each room and suite features a private patio or balcony that overlooks luxuriously landscaped courtyards. 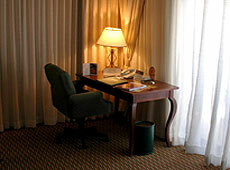 Business travelers love the office accoutrements large writing desks, modem ports and dual voice-mail equipped telephones plus complimentary high-speed wireless internet. 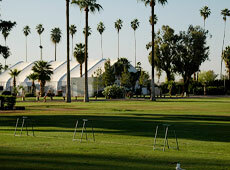 The USGA golf course at San Marcos Resort was the first 18-hole Championship golf course in the Phoenix area to offer grass tees and fairways to its guests. First opened in 1913, the course features wide salt-cedar lined fairways and challenging greens. A host to celebrities and dignitaries for decades, the course is a fun and yet challenging test of golfers from the novice to accomplished players. 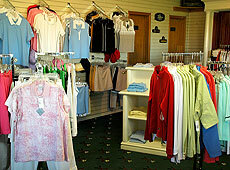 The San Marcos Resort Golf Club also features a fully stocked golf shop with a full complement of equipment and golf apparel, as well as, PGA professionals offering club fitting specialists, golf lessons and clinics for groups or individuals, plus a huge practice putting green. Professional and knowledgeable concierge staff at the Crowne Plaza San Marcos Resort can also assist with off property recreation and shopping trips. 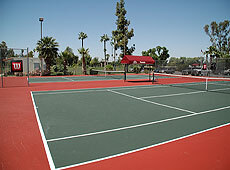 They can help plan exciting activities such as jeep tours, river rafting, horseback riding, hot air ballooning, city tours, hiking, and shopping at the nearby Chandler Fashion Center. 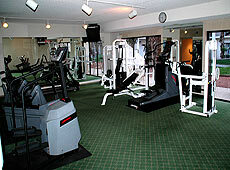 Mulligan's Bar & Grill (Golf Clubhouse Restaurant): Offering casual light fare with golf course views. The Crowne Plaza San Marcos Golf Resort is designed to provide a comfortable and efficient environment for business meetings and conferences as well as weddings and special events. Over 35,000 square-feet of meeting/banquet/event facilities and 123 acres of beautifully landscaped grounds provide a perfect setting for any conference or event. Take Interstate 10 East (towards Tucson) and exit onto Loop 202 East/Pecos Road. Travel East on Loop 202 and exit on Arizona Avenue. 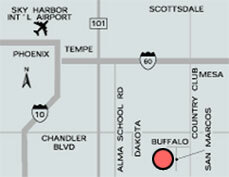 Turn Left on Arizona Avenue; traveling north until you reach Buffalo Street. Turn left onto Buffalo Street and the resort will be on the left.